It’s an achievement they credit to improving the efficiency of their land and grazing management practices and financials, and in turn, increasing their economies of scale. 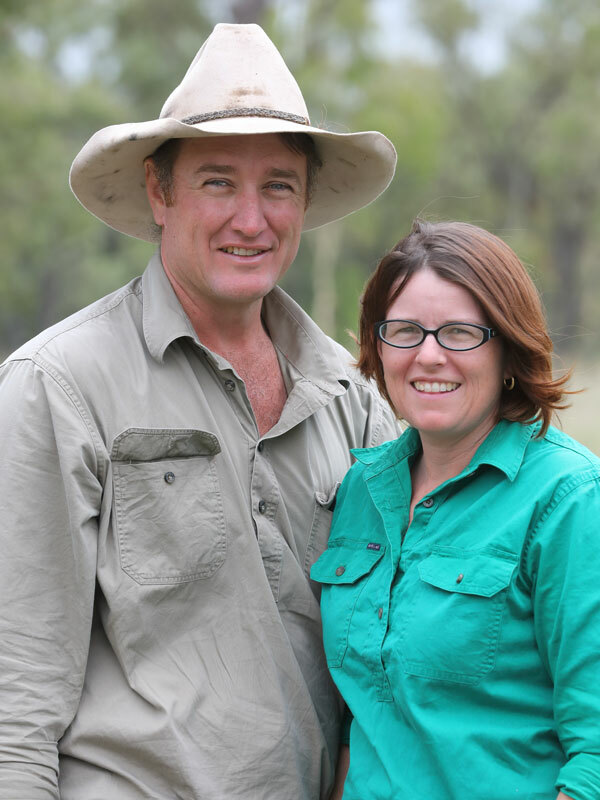 Underpinning those significant changes has been their participation in the ground-breaking Project Pioneer, a collaboration between the Australian Government, Resource Consulting Services (RCS), WWF, CQUniversity, Maia Technology, Farm Map 4D and beef producers throughout Queensland. For Richard and Adele, Project Pioneer prompted a complete re-think of their management approach to their business, and has given them the confidence to make big changes that will benefit their business and ultimately their family. Crucially, the flow-on effect has been that Richard now works full-time on their cattle business, without the need for any off-farm income. “We saw Project Pioneer as a way that we could question everything that we were doing and then really work towards being able to focus all of our energies on making changes,” Adele said. Location of ‘Greenroc’, Thangool, Queensland. “Richard used to work off-farm as a diesel fitter and supervisor in the mining industry and one of our big goals was to not have to rely on off-farm income. We felt we should be able to earn an income off our farming business alone. “We had a lot of ideas of how we wanted the landscape to look, and how we wanted our business to look. Off-farm work takes you away from it and you don’t have the time to focus completely. The Actons run a commercial Droughtmaster operation and stud, Ambleside, and performance recording the entire herd, selling grassfed paddock bulls. Until recently, they operated two grazing properties comprising 5000 acres (2024 hectares) in total. 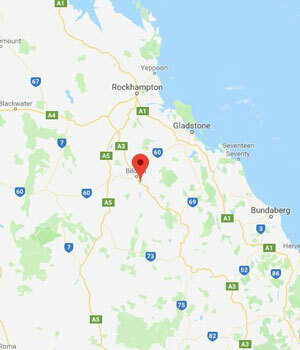 They sold both properties – one near Thangool and the other near Baralaba – and bought nearby, “Greenroc”, Thangool, which comprises just under 7000 acres (2800 ha). “The new property will give us the ability to maybe grow some of our younger cattle out and performance record them right through as well,” Richard said. 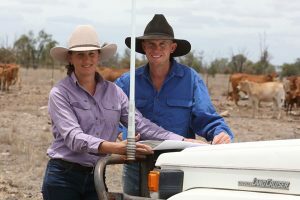 “It has a good diversity of country – it has forest country for our breeders but then we’ve got good scrub country for finishing our bulls and carrying through our steers to help with our performance recording, and increase markets we can access,” Adele said. The Actons had successfully implemented a range of new land management practices on their previous properties through Project Pioneer, and are now applying the same principles at “Greenroc”. 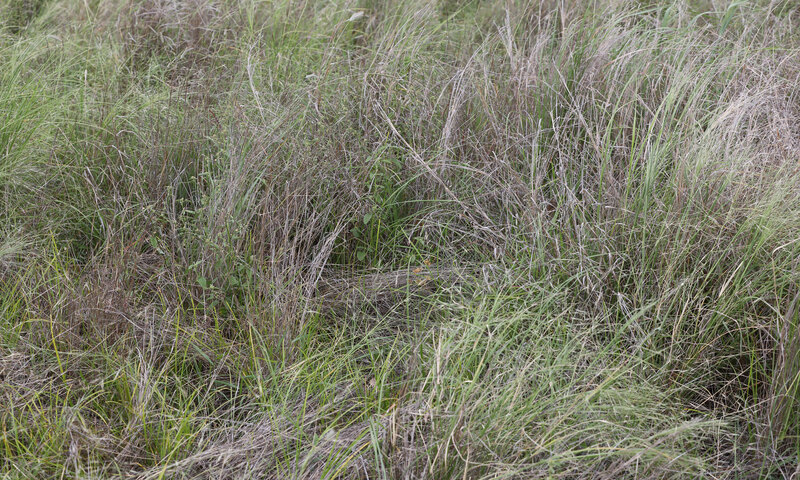 Those changes include time control grazing – rotating cattle through paddocks to allow for country to be spelled at the right time and ensure it is not overgrazed – and careful consideration of water and fencing infrastructure to prevent soil erosion and run-off, and boost pasture growth. “We joined Project Pioneer in February 2017. At that time, we were experiencing an extremely dry wet season and had a 12-month rolling rainfall of only 340mm. This was about 300mm less than the average rolling rainfall that we would usually be experiencing at that time of year,” Adele said. 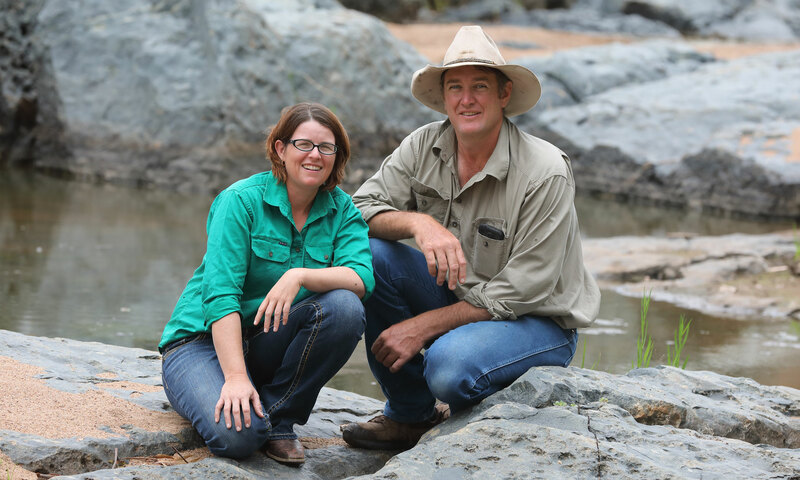 “Through our experience with Grazing for Profit, we realised we needed to act immediately and during March 2017 we weaned all of our calves three months earlier than normal (aged three to five months). The average weaning weight of the calves was 180kg with the lowest weight being 128kg. In comparison, our overall average weaning weight for 2018 calves was 252kg (aged six to eight months). “This reduced our grazing pressure immediately by reducing our total livestock units (LSU) by 16%. These weaners were fed in the yards until they were weaned and then were sent away on agistment. “We got rain in March 2017, however it was too late in the season to achieve useful grass growth. So we did not restock our properties. By the time we received useful rainfall in October to December 2017 we had decided to sell our properties and still did not restock the properties because of the property sale process. Adele and Richard say they’re excited about implementing change at their new property because it’s largely been untouched and is like a “blank canvas”. 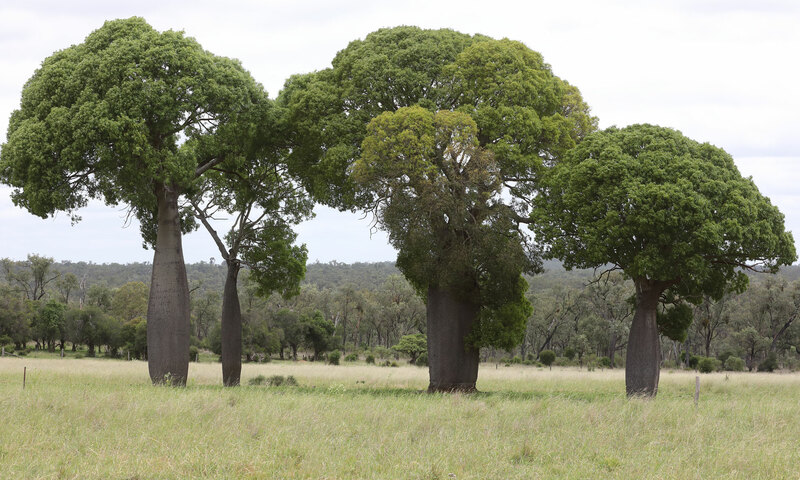 “We have some essential habitat areas here and some beautiful biodiversity we can manage for,” Adele said. “The property was settled in 1930 and we’re only the second owners of the property, so there’s a heritage with it as well which we think is quite exciting going forward. “We have a few remnant vegetation areas still on the property and a couple of little patches of scrub vine forest. Through the creek area, there are a few volcanic rock areas with waterfalls that run when we do have water in the creek. There’s also a population of bettongs and a big population of birds. Grevillea Creek runs through the property, flowing into the Don River which feeds into the Dawson River, then into the Fitzroy River and out into the Great Barrier Reef lagoon. “We’re only about 10 kilometres away from the head waters of Grevillea Creek so obviously whatever we do up here impacts further downstream and the Great Barrier Reef,” Richard said. “We’ve got black soil and it can be very erosive, depending on how the infrastructure is set up,” Adele said. “At our previous properties, some of the troughs had been set up in a position so the cattle had to walk downhill to access them and that would open up erosive areas. “We have a lot of places in this new property that do the same thing. I’d say at some stage in the last 15 years, it’s been grazed heavily and we can see where there’s been run-off and erosion and created a mess. We’re starting from scratch here but at least we know what works and what doesn’t work,” Richard said. “At our previous place, the fencing allowed us to cell graze more often. We could move our cattle around as soon as our groundcover was getting down to the threshold that we like to, enabling us to move them on and spell areas a lot more. “We’re moving towards rotational grazing here, and we’re looking at setting up our waters to make sure that we’re utilising our pastures without overgrazing any areas. In tackling the often-daunting prospect of implementing change, Richard and Adele said Project Pioneer had provided them with the tools, confidence and ongoing support to make big decisions. After completing the RCS Grazing for Profit School, they moved on to RCS Next Steps and are now part of the Executive Link program. “The Next Steps process was important because it gave us a mentor who was encouraging us to make sure we were moving along. 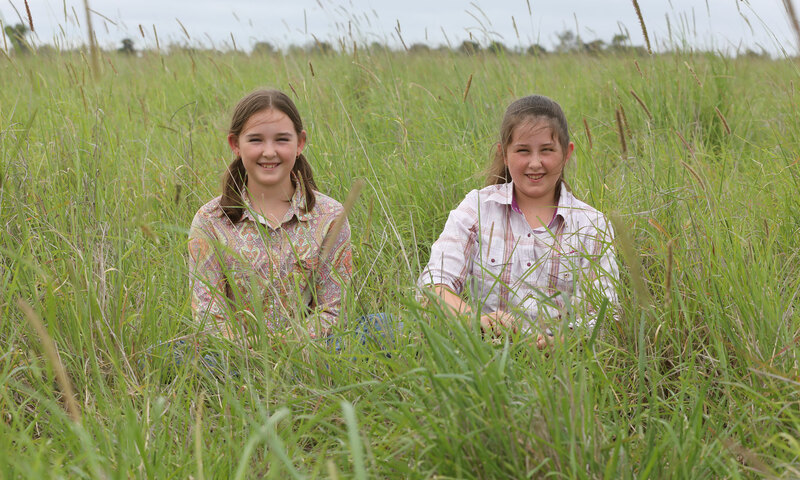 It’s a coaching/mentor type program which contained modules of grazing management and business management,” Adele said. The Actons said while they’re now seeing the positive impacts of Project Pioneer, they were initially reluctant to become involved. “We were nervous that we couldn’t take the time out from our lives and we had too much else to do, but it probably it is one of the most positive things we’ve been involved in for our business,” Adele said. “Rather than dancing around and being stressed all the time, it has helped us sort out our goals and start in that direction. Now they’re in the RCS Executive Link program, the Actons are in regular contact with other beef producers who are also involved in the Project. “We meet with them every four months and regularly phone and email each other,” Richard said. “Confidentiality is very high – everyone is trusting, and open and nothing is off the table. Everyone is supportive of each other and their goals. “You learn so much, it’s a different way of approaching things. You can take little bits from here and there, rather than trying to work through it all yourself,” Adele said. “For example, if our costs for supplements are getting a bit high, we can compare what other business are doing and have that inform our decisions. For other producers contemplating working with RCS, Richard and Adele’s advice is simple – give it a go. “Don’t be close-minded. Be willing to listen, try new things, make changes and diversify,” Richard said. “If you don’t like it, you can go back to what you were doing. “I think it’s very important as beef producers that we start putting a more positive message across as a group to society because I think what society wants is how we need to manage our country and that is changing incredibly,” Adele said.